It’s that time of year when I get asked about centuries, fondo/charity, or just big miles on the weekend. For this post, it’s understood you’ve been riding, got your fit worked out, and how to eat on the bike. I recommend a nylon cap to keep the sun and rain out of your eyes. Also the sun off your head. While cotton caps are traditional, they rot out from sweat and you can’t wash and dry them. Our cap is made by Hincapie Sportswear with ripstop nylon, which means it’s tough– wash on warm and dry it – and thin to fit under a helmet. The next tip is to wear chamois creme for the longer rides. 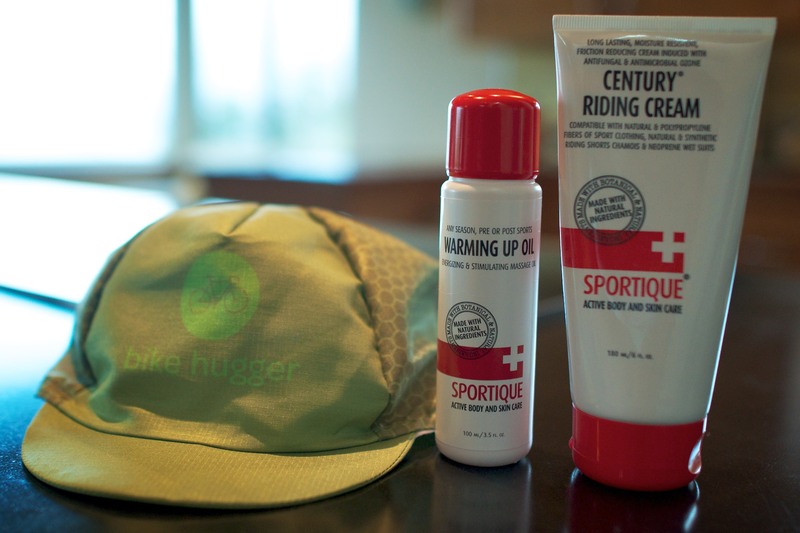 There are many flavors/styles of creme and they all do the same thing: reduce friction between your chamois and skin. They also have astringents in them to kill bacteria and keep your downstairs clean. In the Summer, I like a thin, all-natural creme like Sportique. 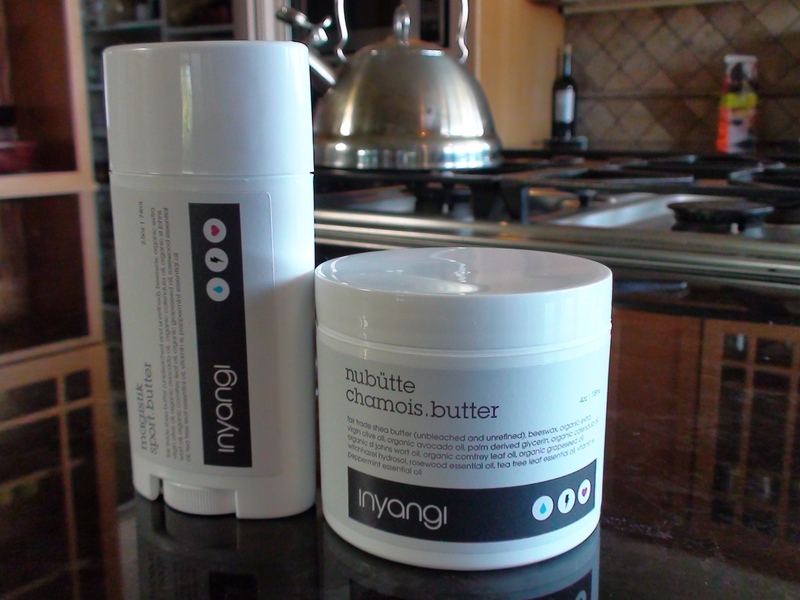 For Cross in the Fall and Winter, I use Inyangi, all-natural, organic shea-butter, based creme. Inyangi is unique because the shea butter also heals road rash and abrasions. Where a thinner creme like Sportique lubricates and cleans, the Inyangi coats, protects, and heals. Both products use no petroleum, animal fats, or other nasty stuff. You’re likely not in your 20s like me and an embrocation will get your legs going on the second day of your ride weekend. Embrocations are also a tradition in the sport – racers use them for good mojo. An embro is like putting a mild Icy/Hot on your skin and warding off bad luck. Rub it all over your legs, apply the creme to your short, and you’re good to go. Remember to wash your hands after using the embro – you do NOT want that in your eyes or near your mouth. Sportiques’s products are available online. The creme costs $19.95 and the oil is $11.95. Our cap is available on our Amazon.com store for $14.00 and the Inyangi is too for $20.00. Finally, wear good socks. Our latest socks are the best we’ve made. You can read more about them in a post I wrote earlier this year about our new Velocity Collection.